The thyroid is a butterfly shaped gland at the lower aspect of your neck. It mainly produces the hormone thyroxine which controls many aspects of your metabolism. A complete or partial thyroidectomy (removal of the thyroid) is commonly performed when cancer within the thyroid has been identified, or when there is a suspicious nodule. It can also be performed for non-cancerous conditions such as a large goitre (swelling of the thyroid) causing breathing or pressure symptoms on your neck or for an overactive thyroid not controlled by medication. The procedure requires a general anaesthetic. 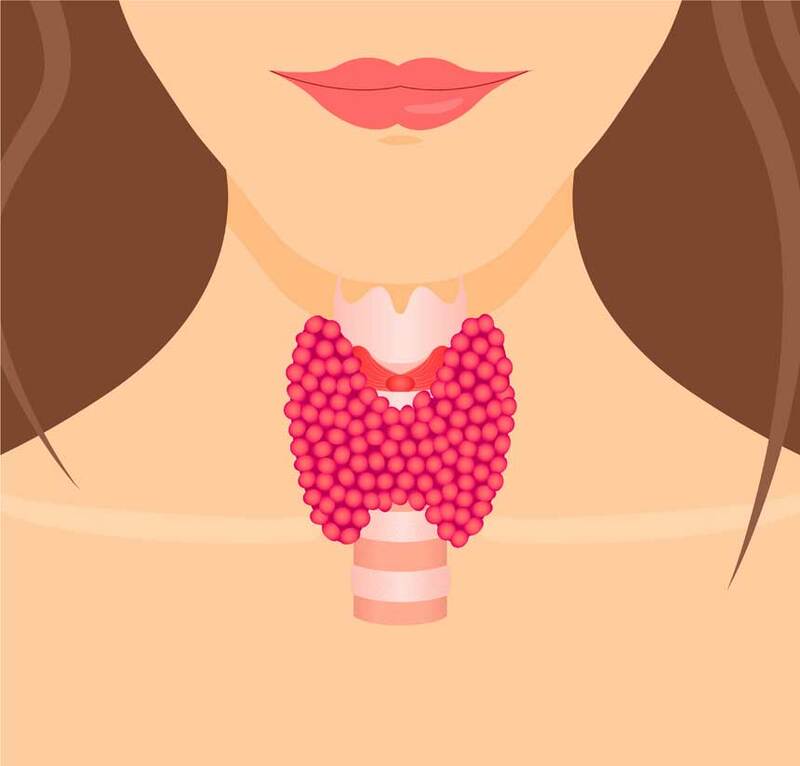 It involves a surgical cut over the thyroid across the centre of the neck, identifying and releasing the thyroid from its attachments and blood supply, sparing nearby nerves, vessels and the parathyroid glands. Sometimes some lymph nodes may also be removed. A small drain may sometimes be left in place to prevent the collection of any blood or fluid which is removed the day after surgery. The thyroid gland is sent for further tests and is examined under the microscope. If you have an overactive thyroid the activity of your thyroid will need to be controlled prior to any surgery using medication. After the procedure you will wake up in a hospital room. Thyroidectomy is normally performed as a day case operation but sometimes patients may need to spend a night in hospital. You are typically expected to go home once you are eating and drinking, are able to manage the pain and walk unaided. It normally takes two weeks to fully recover and return back to work but it varies from person to person and depends on their general health and the nature of their work. If your entire thyroid has been removed you will need to take thyroxine tablets for life to replace the thyroxine hormone that would otherwise have been produced by your thyroid. You will be seen in the clinic within 2 weeks of your surgery to discuss any results. If only part of your thyroid has been removed and cancer has been identified then further surgery may sometimes be required to remove the rest of your thyroid. Thyroidectomy is a safe procedure. The risk of complications include those common to all surgical procedures such as infection, bleeding, blood clots, heart problems, pneumonia, and anaesthetic risks. Complications specific to this operation include a risk of injury to the nerves supplying the vocal cords leading to hoarseness or weak voice (most often this is temporary) and very rarely to breathing difficulties, risk of airway blockage due to bleeding and risk of damage to the small parathyroid glands located behind your thyroid leading to low calcium levels and high phosphorus levels in your blood.